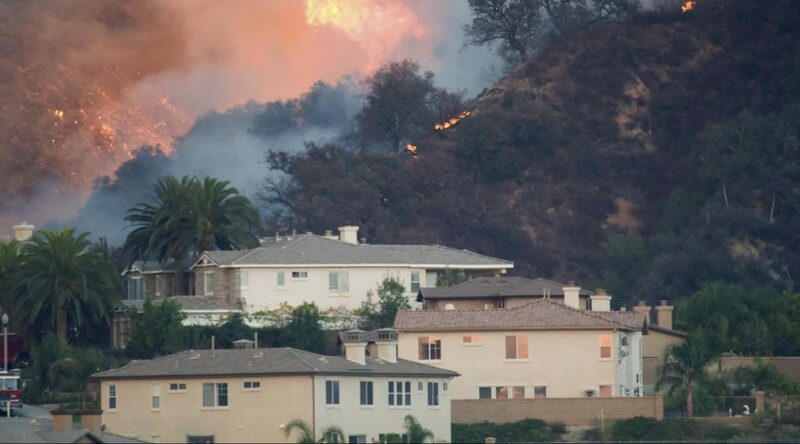 New UCLA app provides tips for coping with such natural disasters as wildfires. When wildfires rage, anxiety can rise as high and as fast as temperatures. In fact, little in life matches the stress of having to pack up your entire family and move to safety as fires race toward your home and all you hold dear. “Evacuating with little to no notice in the face of a wildfire can be one of the most traumatic experiences that a family faces, especially if the family home or pet is lost, and the family’s dislocation proves lengthy,” said Melissa Brymer, a psychologist specializing in trauma at the Semel Institute for Neuroscience and Human Behavior at UCLA. Families in the path of a fire aren’t the only ones who can feel the heat. Parents whose little ones hear the sirens of firetrucks, see billows of smoke in the sky or watch raging flames in news coverage can find themselves trying to calm jangled nerves. Enter “Help Kids Cope,” a mobile app that Brymer helped develop for families in the midst of natural disasters. The app provides guidance on coping with wildfires and other types of disasters, including earthquakes, extreme heat, floods, hurricanes, landslides, tornadoes, tsunamis, windstorms and winter storms. Already downloadable from the Apple store, the app will become available July 15 for Android mobile phones. It is free, courtesy of UCLA. Checklists to prepare the family before disaster strikes. Safety and response tips in the event of a disaster. Age-appropriate language to use “in the moment” to help calm and support kids. Audio clips of parents recounting their own experiences in several natural disasters. Explanations from child psychologists on how kids commonly respond during and after disasters. Tips for parents to care for their own emotional needs during the stressful period. Suggestions for no-supplies-needed activities to distract and entertain little minds. Sources for the information include the Red Cross, the federal Centers for Disease Control and Prevention, Federal Emergency Management Agency and the U.S. Substance Abuse and Mental Health Services Administration. Recent wildfires underscore the need for marshalling coping materials into a single source such as the app, Brymer said. The situation, which prompted the county to declare a state of emergency, also highlights the value of downloading resources in well in advance of trouble. “Having downloaded the app in advance will help you retain access to information in the event your phone loses coverage, electricity gets cut or internet sites crash due to a high volume of traffic,” Brymer said. Brymer is the director of terrorism and disaster programs at the UCLA–Duke National Center for Child Traumatic Stress, a network of 78 centers that supply psychological services in the event of disaster. Network colleagues helped produce the app, which was the brainchild of parents affected by the catastrophic multiple-vortex tornado that struck Joplin, Mo., five years ago. Funding for the project was provided by the Missouri Foundation for Health, Ozark Center, the Substance Abuse and Mental Health Services Administration and the U.S. Department of Health and Human Services.